Today we share a link to Download Android P theme for Huawei and Honor Devices Devices. Huawei devices come with EMUI OS which comes with very clean and refreshing UI. The one good thing about EMUI is you can completely change the look of your device by changing its theme. We previously provided many themes for Huawei devices and today we share one more theme the Android P Theme for EMUI 4+ Devices. 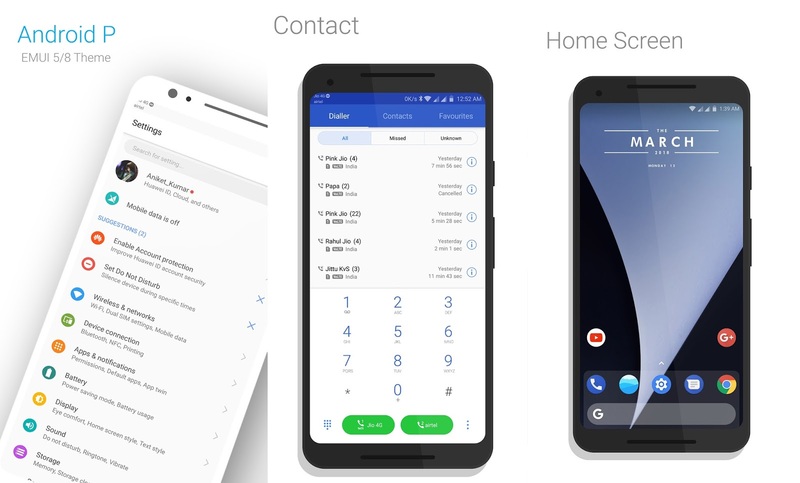 Download Android P Theme for Huawei and Honor devices from below. Recently Google released its latest version Android P which is currently available only for Nexus and Pixel devices. If you are a Huawei or Honor user, then you can enjoy the taste of Android P on your device. Here we share a direct link to Download Android P Theme for EMUI Devices. 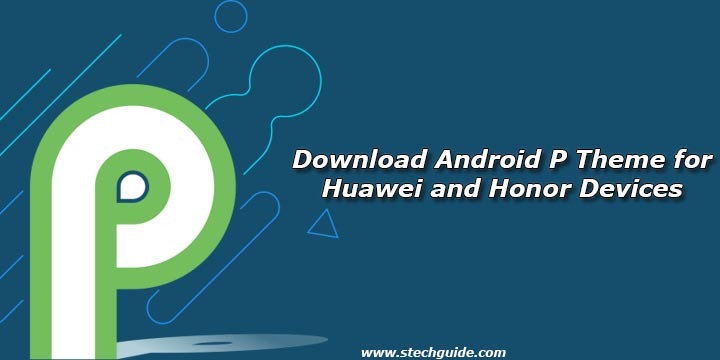 You can Download Android P theme for Huawei Devices from below and install it manually. The theme is already tested on many devices and it works on almost all devices who running on EMUI 5.x and 4.x. We previously shared Galaxy S9 Theme for Huawei/Honor devices and now we come with a new theme for Huawei/Honor devices. 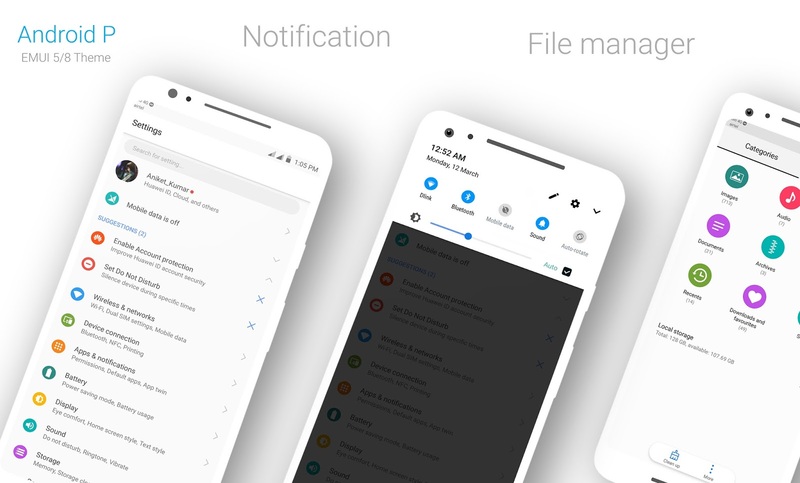 This is a .HWT theme file which replaces the stock theme file with this new Android P hwt theme file. You can Download Android 9.0 P theme for EMUI 5.x and 4.X Devices from below. Also check EMUI 8.0 theme for Huawei devices running EMUI 4.x. So if you want to change the look your phone then Download Android P Theme for EMUI 5.x and 4.x Devices and enjoy the theme. Stay connected with us via Facebook, Twitter, and Google Plus to read more such helpful posts. Check our Theme Section for more awesome themes. I mentioned the process in the post.